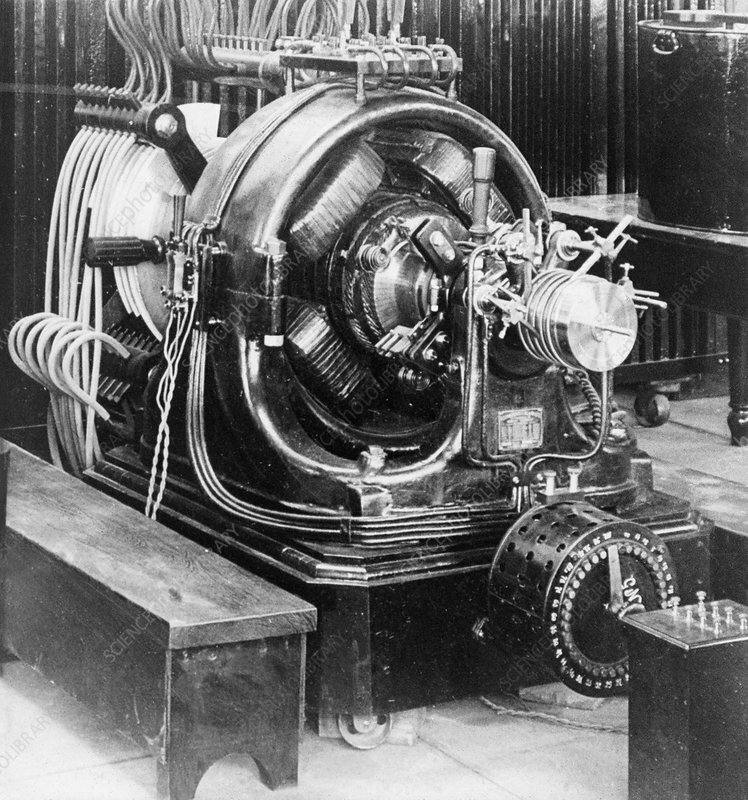 Generator at Tesla's Wardenclyffe Tower. Two-phase generator installed as part of apparatus producing direct current of high tension, producing undamped electrical oscillations of high frequency. The Wardenclyffe Tower was built by Serb-US physicist and electrical engineer Nikola Tesla (1856-1943) on Long Island, New York, USA, from 1901. It was intended for Tesla's wireless transmission experiments, intended to compete with the system invented by Marconi. However, Tesla was unable to find sufficient investment and funds, and the project was abandoned. The tower was demolished in 1917. The site was purchased in 2013, with plans to build a museum dedicated to Tesla and his achievements.